NEW SET - ALL SEATED! 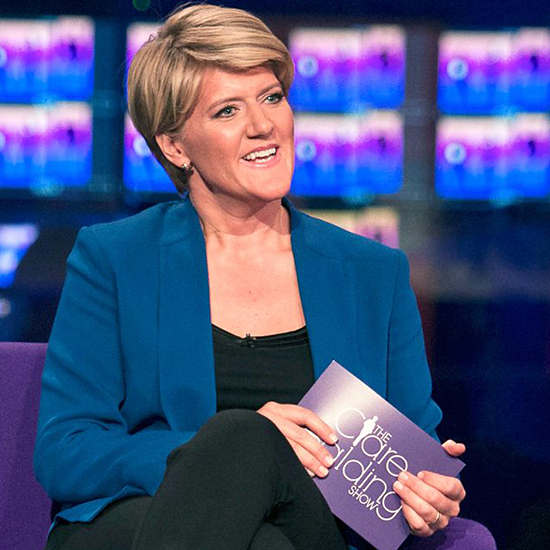 The Clare Balding Show is a weekly studio talk show for BT Sport, which will delve into the lives of the BIGGEST names in sport and the people and stories behind the weekly headlines. At the heart of each show are in-depth interviews with three of the world’s sporting greats from A List talent, to national and international legendary icons, to the best in women’s sport – when the stars talk they’ll talk to Clare. The show records at the BT Sport Studios - right in the heart of the Olympic Park! Admittance is strictly for over-16's only. Those between the ages of 16-18 must be accompanied by a parent/guardian and chaperoned at all times. Please note that the audience are seated for this show. There is also access for wheelchair users. This series is not currently recording. Please register your interest for future shows by logging into your account and using the form below. We'll then be in touch when we have news. If you aren't registered with us, please register first and then log into your account to add yourself to the waiting list.